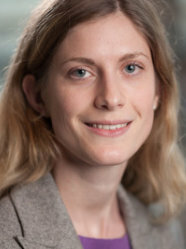 Mirjam Tuk joined Imperial College in November 2011. She obtained her PhD in Marketing from the Rotterdam School of Management, Erasmus University in the Netherlands in 2008. She held a visiting professor position at INSEAD from 2011 until 2014 and is currently a visiting professor at the Rotterdam School of Management. Mirjam’s primary research areas are consumer self-control processes and interpersonal influence processes. Her work has been published in, among others, the Journal of Consumer Research, Organizational Behavior and Human Decision Processes, Journal of Experimental Psychology: General, Psychological Science, Journal of Consumer Psychology, and the Journal of the Academy of Marketing Science. Her research has been awarded the 2011 IgNobel award in Medicine and has received extensive international radio and newspaper coverage by The Economist Intelligent Life, The Guardian, The Daily Telegraph, Fox News,Newsweek, BBC radio, CNN and MSNBC. It was also featured in the sitcom "Big Bang Theory".